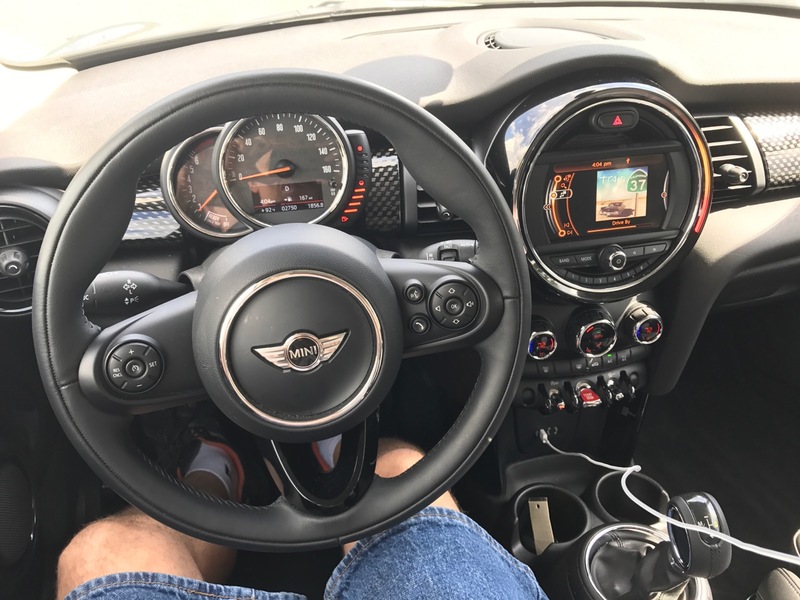 Posted on June 29, 2017 September 21, 2017 by Ian C.
The warning suggested that the parking brake was still released (the indicator light was off too) but in fact it was locked on and I could not release it – stuck in the middle of the road! 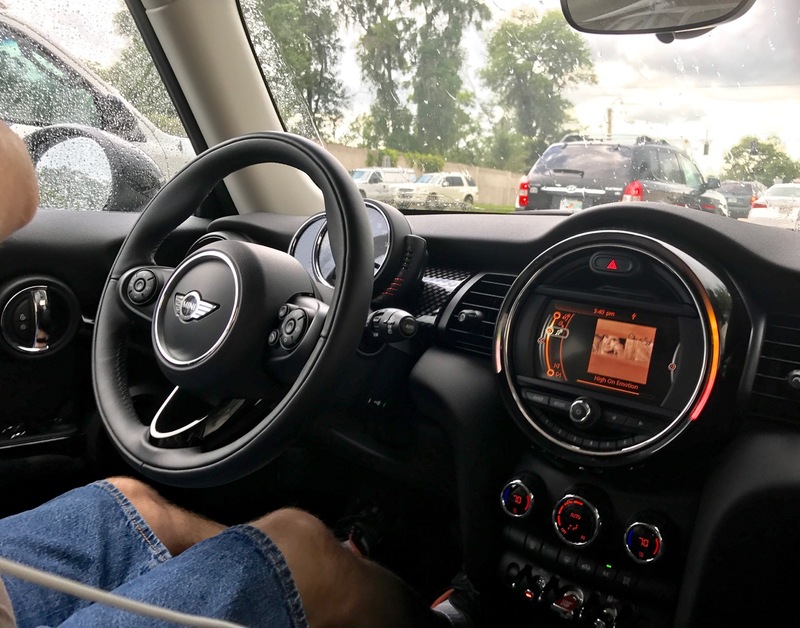 So today, I dropped my car off at Orlando MINI, and got a “small” two door MINI loaner – and I really didn’t notice any size difference, at least for the driver position! 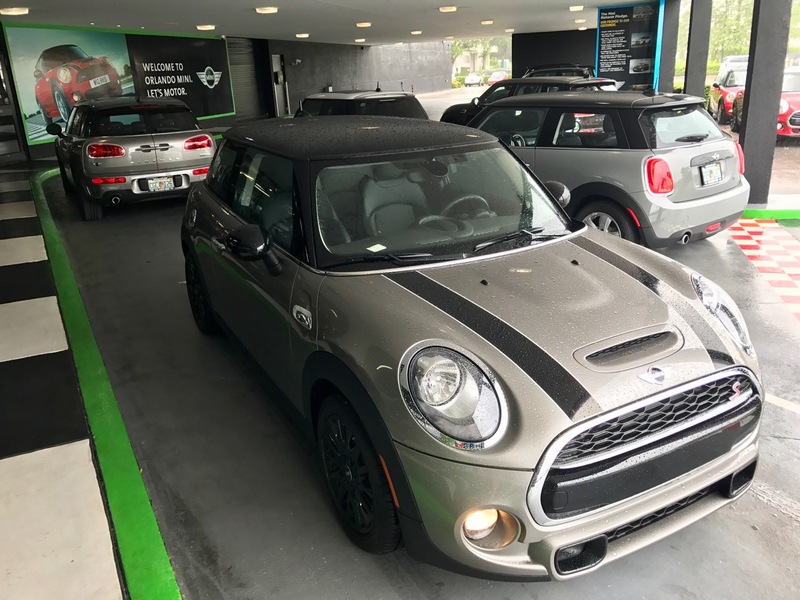 Hopefully, whatever is wrong with my Clubman is easy to identify and solve. 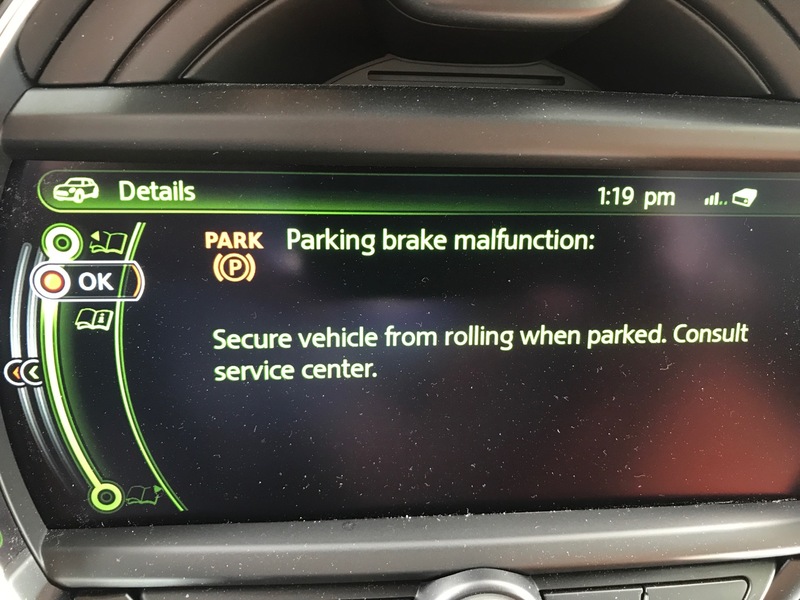 UPDATE 2: Today (September 21st, 2017) this fault has recurred twice; very frustrating and rather dangerous to have a car that can’t be safely parked!